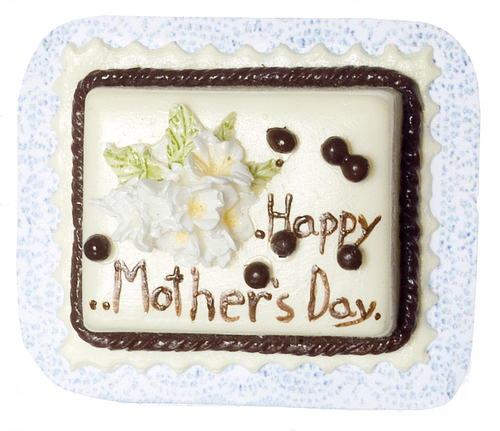 This miniature dollhouse cake is a quarter sheet sized cake on a fancy doilie with "Happy Mothers Day" on it. The miniature dollhouse cake measures 0.5"H x 1.375"W x 1.125"D, is 1:12 scale and 2 cakes are included per pack. 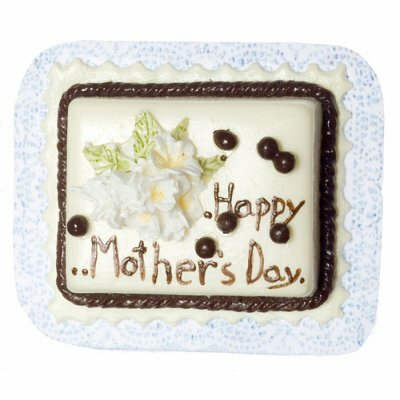 This "Happy Mothers Day" Quarter Shee Cake 2pc is supplied by Handley House Miniatures, which generally ships within 8 business day(s) of you placing your order .